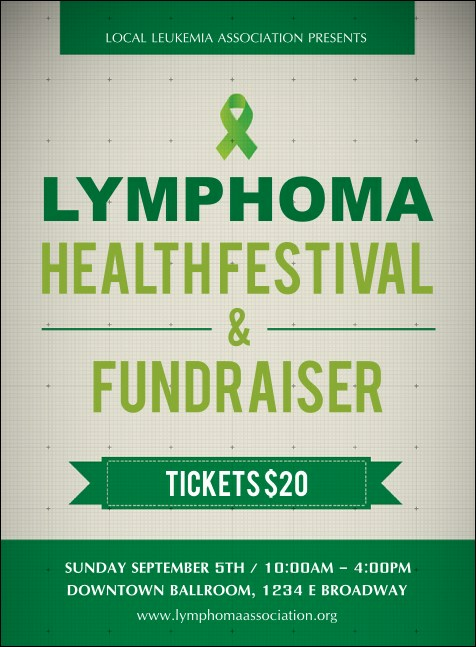 Get your potential guests in the mood to support a great cause when you send the Lymphoma Invitation! Lime green and bold lettering help your event details stand out on a grey-scale background, perfect for getting all your info across easily. Nine editable lines await your specifics. Shop TicketPrinting.com, and scoring the right invitation for any event is easy as can be!